As odd as it sounds, I always thought going into the second half of my senior year would be a little scarier than it feels right now. Being forced into the working (and real) world after so many years of schooling, and establishing a home at BU, surrounded by familiar faces, creating a daily routine and trying to learn as much as possible in the last three years, can be overwhelming. When I was a freshman, the thought of graduation looming so close and almost being done with what most people refer to as “the greatest four years of their lives,” was terrifying and truly made me appreciate the fact that I had so much time left. And now I’m only five months away from graduation. 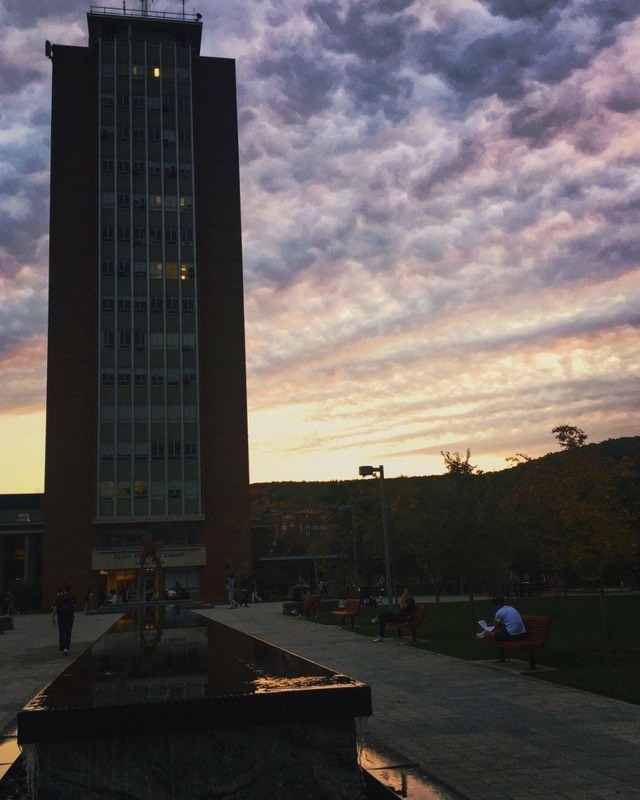 While it pains me to think of leaving behind the fun and carefree college lifestyle I’ve become so accustomed to, I believe Binghamton University has prepared me to start my working life—and The Agency has prepared me to start it locally. Before working at The Agency, I didn’t think I would be able to find a job in Broome County that I would both enjoy and that would allow me to showcase my talents in. As I’ve said in a previous blog post, I always had my sights set on finding a long-term job out of the area that I was passionate about, as I didn’t think there were any local jobs that would spark my interest or make it worthwhile to stay here. However, my eyes have been opened in the past eight months to the countless opportunities available to me in the business realm of our area. Thanks to positive campaigns like “Broome County: A Good Life” or innovation projects like Drive Binghamton, I have realized that there is both a vibrant entrepreneurial spirit in Broome County, as well as countless businessmen and women, in various fields waiting to disperse their knowledge and provide connections for people, young and old, aspiring to work locally. The last four years of my life, I’ve been taught how to think and analyze the world around me, but always within the confines of a classroom. Yet in just a few months’ time, I will be able to showcase everything I’ve learned in the real (and local business) world, which is both exciting and intimidating all at the same time. Nevertheless, having the ability to leave a school as acclaimed as Binghamton, with the knowledge and confidence my professors and academic studies have instilled in me is incredible and something I am blessed to say lies ahead of me. Having such a positive outlook about my working prospects here is even more incredible though. While I don’t know where life after graduation will take me, I am excited to find out and explore the endless opportunities that Broome County has to offer a young person like me, along the way.